In early August we flew out of Canberra in our coats (minus 2 degrees) and arrived in Cairns, Far North Queensland, at midday…I took this photo as we had some coffee in the 27 degree sunshine….now the secret is out..
Cairns is known as the gateway to the Great Barrier Reef, but the city council should also be congratulated on their town planning and green spaces. 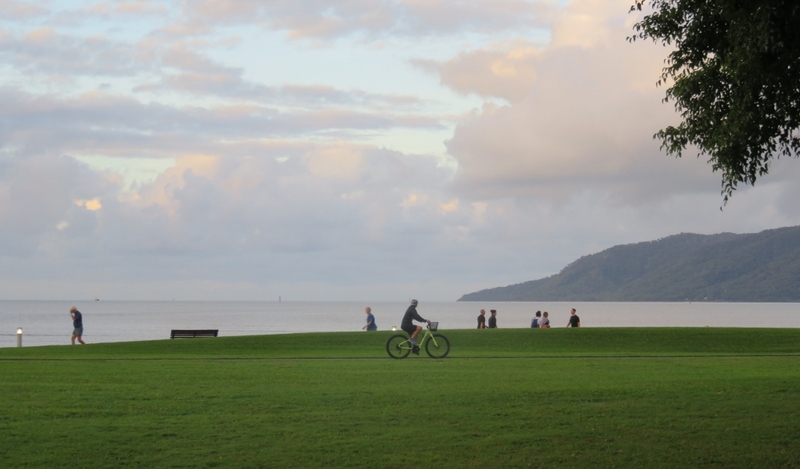 In Cairns is it possible to walk from the centre of the city all the way along the Harbour to the Botanical Gardens on the edge of the city….all that land preserved for the public. The Esplanade has a collection of wonderful shallow pools for children to play and swim. Further along the boardwalk are playgrounds and spaces for older teenagers and young adults to play games such as volley ball. The path is wide enough for pedestrians to walk either way….and, there is a separate wide path for cyclists…. 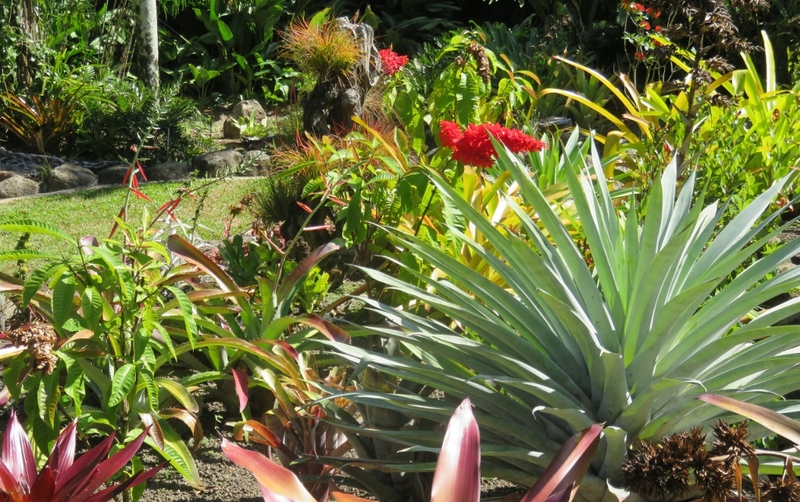 These sorts of green spaces give a whole community a sense of wellbeing and belonging. 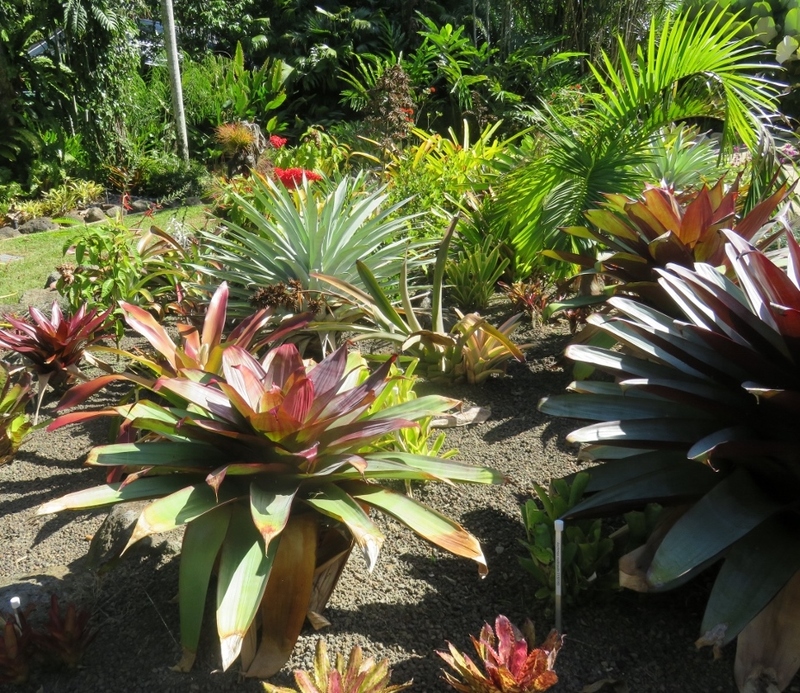 Unfortunately we missed our booked guided tour of the Botanical Gardens due to rain…but here are a few photos of the gardens and the plants …. 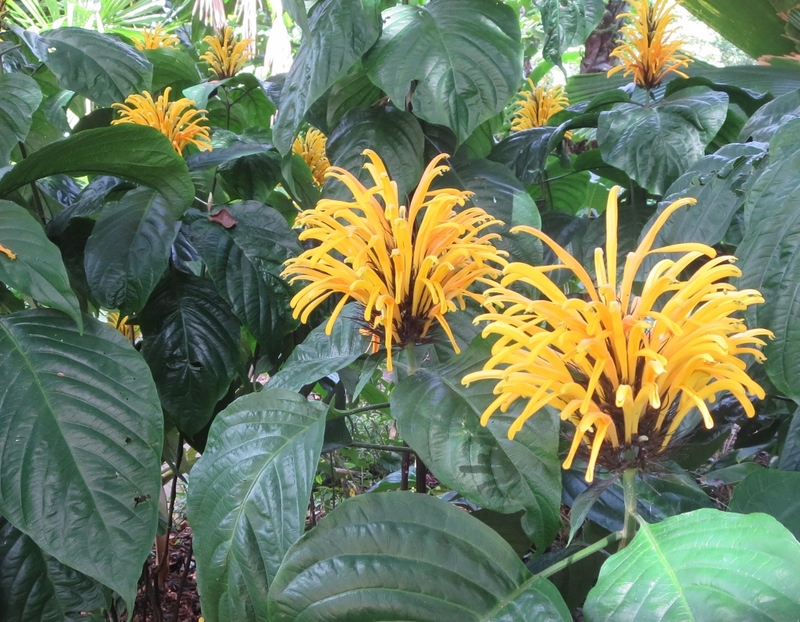 ….so very different from our plants in the south.. It looked wonderful growing beside the magnificent Paperbark Melaleuca tree ..
and in the dawn chorus of kookaburras, here is Junior Kookaburra just enjoying some early morning sun, and learning the ropes.. 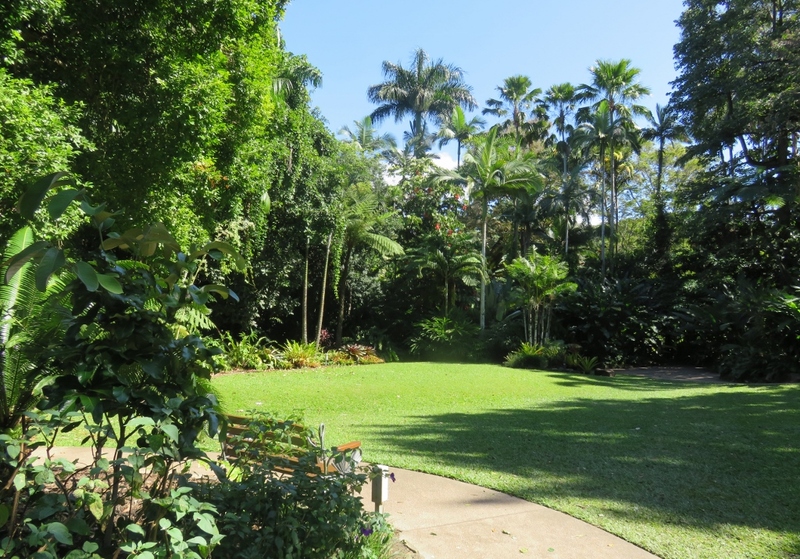 This entry was posted in Queensland's Green Spaces and tagged Bumpy Satinash, Cairns Botanical Gardens, cycle tracks, footpaths, Kookaburra Cairns on September 23, 2016 by germac4. Almost makes me feel like taking a flight to Cairns today! Enjoy it when you get there! Thanks for the tour! Enjoy your spring while I wait for a much anticipated fall here in the eastern US. Much too hot and dry here for late September. Cheers! Still having hot weather? Hope the fall comes soon…. 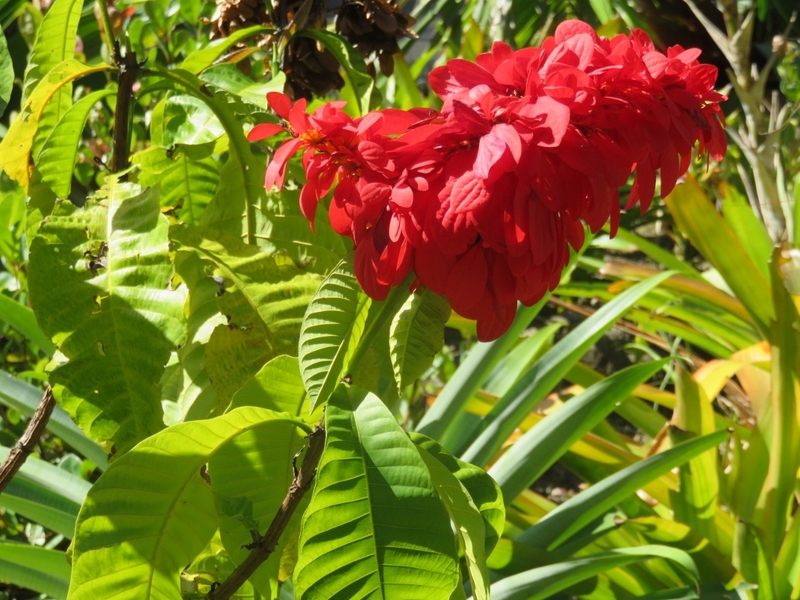 We have had record rainfall this year … the weather!! 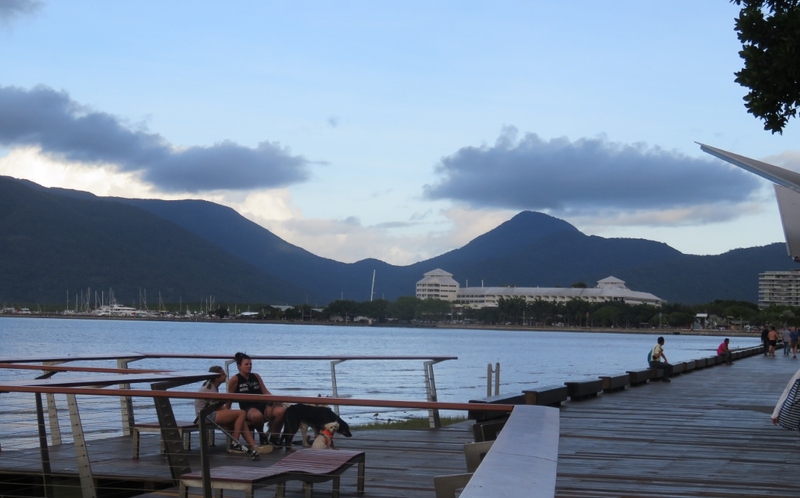 The waterfront in Cairns sounds wonderful. Perhaps the greatest decision ever made in Chicago was when the Lake Michigan lakefront (almost all of it) was preserved as public space. 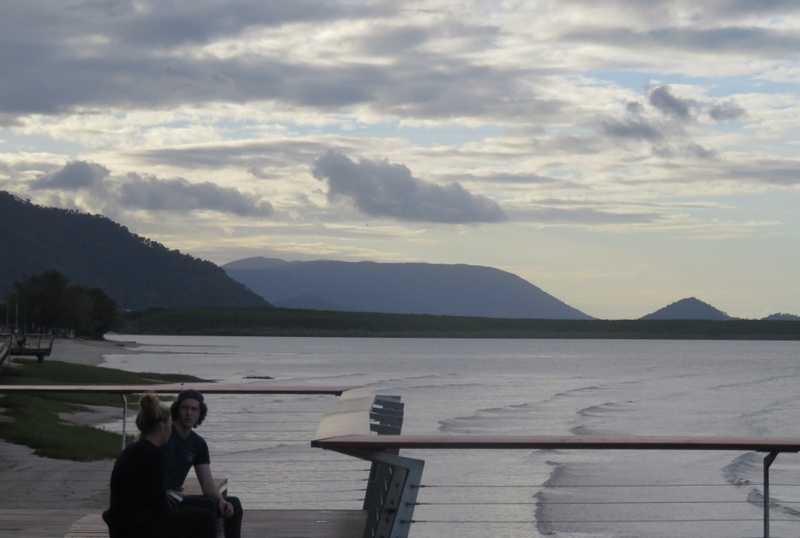 I’m glad that decision was made in Chicago… Unfortunately some of Canberra’s public space around the lake is being ear-marked for development…rather depressing. 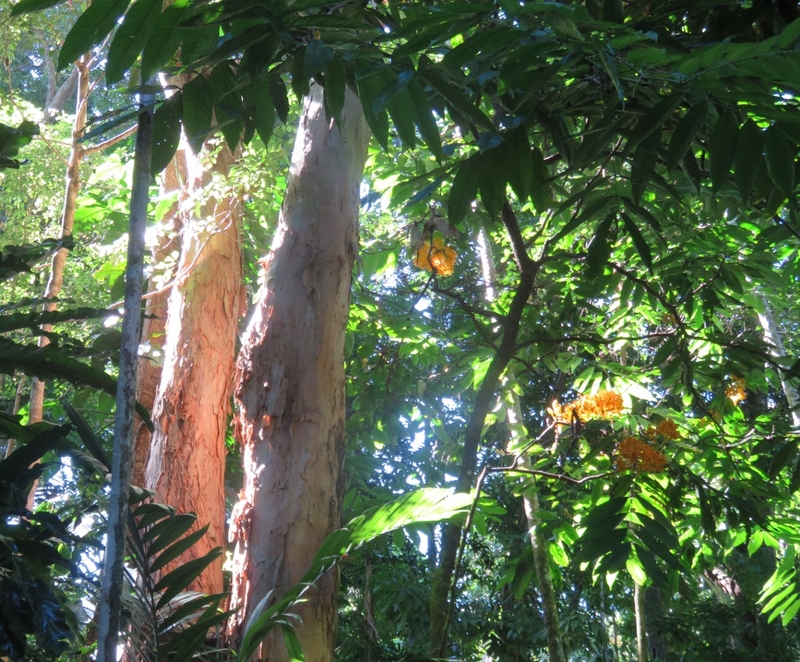 I love the paperbark Melaleucas too..
That looks so inviting, lush and tropical. And I do love the kookaburras! 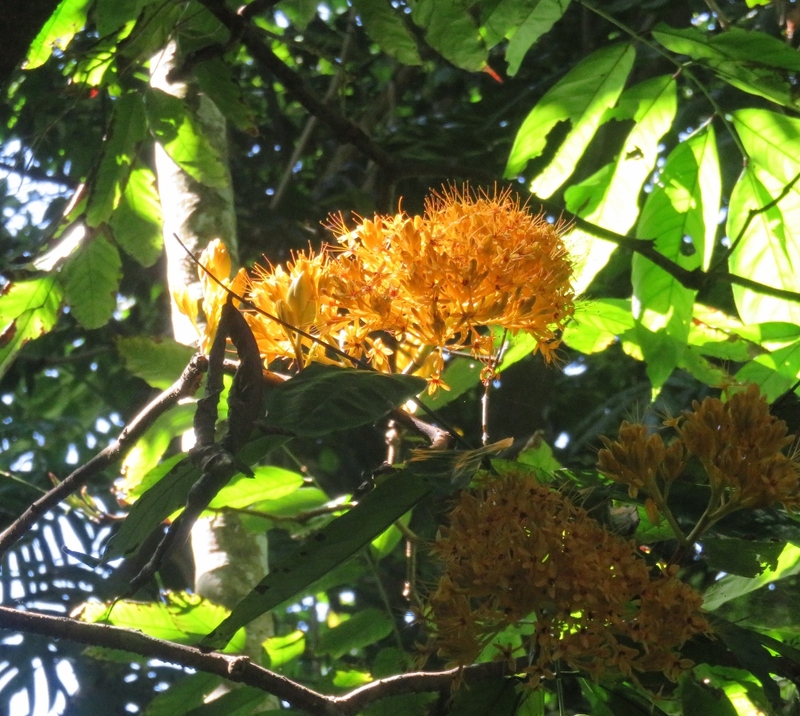 Yes the lush tropics & kookaburras are a winning combination…! 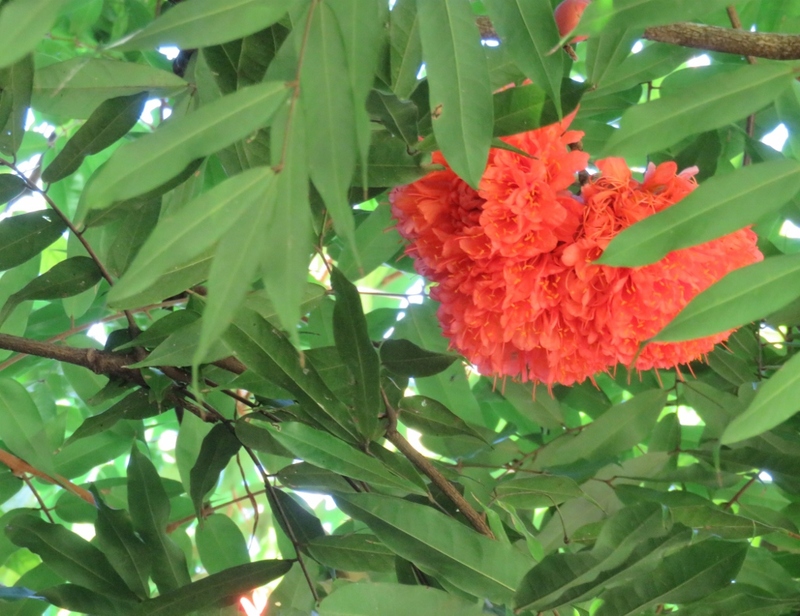 Thanks Christina… Queensland is full of colour & lovely to visit. 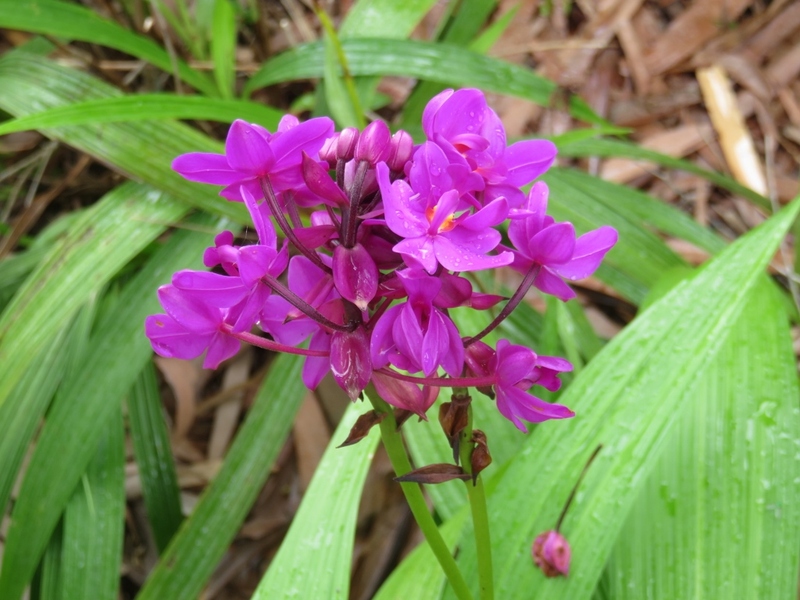 Queensland is a wonderful place to visit…in the winter…their summer is just too hot, but the plants are wonderful all year long.. 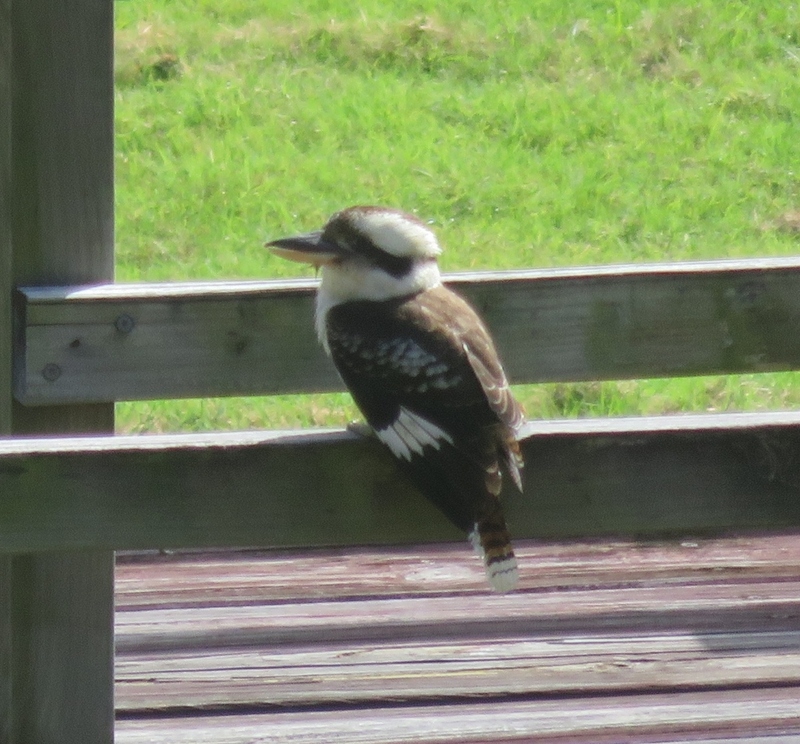 Thanks Judy, I agree, those Kookaburras are the cutest birds, I’m glad I can give them a following through my blog! Cairns would have similar temperatures to Florida I think? Kooka Junior is just beyond cute (as my daughters would say!) Enjoy your holiday. How lucky to see Humpback whales, we have just seen the tail of one coming out of the water, and that was amazing! 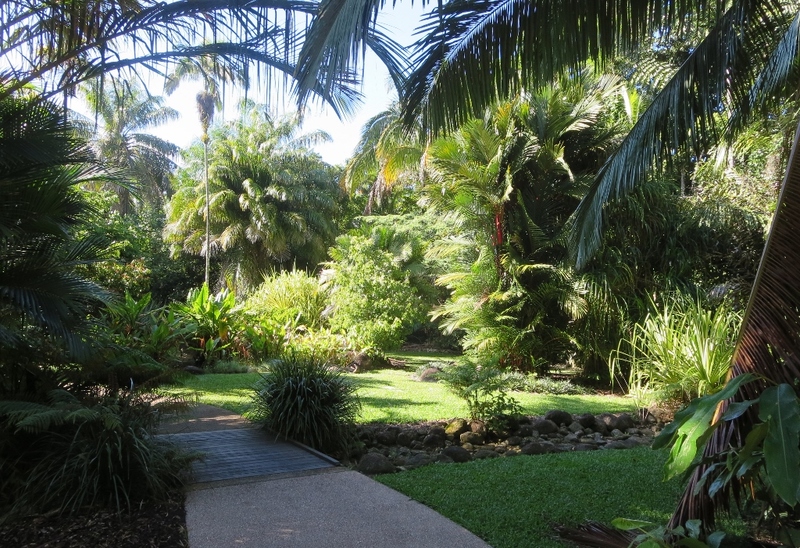 Queensland is a gorgeous place to visit (a bit too hot for me in summer) but ideal escape in our winter. Thanks Sarah! 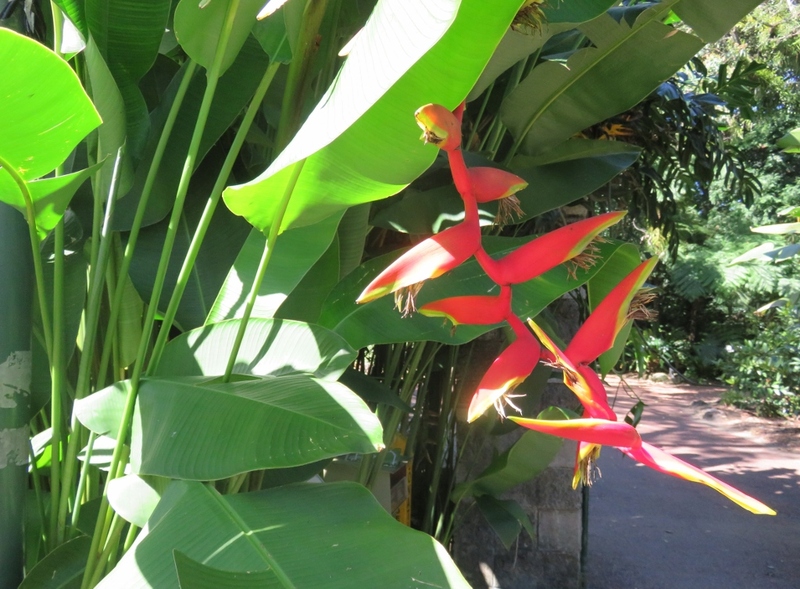 We go back to the Botanic gardens every time we are in Cairns.